It looks like Jake Gyllenhaal is ready to part ways with his Los Angeles property, which he has owned for nearly 10 years. The three-bedroom, 2.5-bathroom home is up for grabs for $3.5 million. The gated celebrity compound, built in 1948, is perfect for anyone looking for some privacy; the house is situated on almost two acres of land down a long private driveway, with nothing behind it but a beautiful view of the Los Angeles city skyline. The interior of the home seems to be reflective of the actor himself, oozing with character and charm. The décor is chic yet simple, with white walls and neutral toned furniture giving the home an overall midcentury modern vibe. 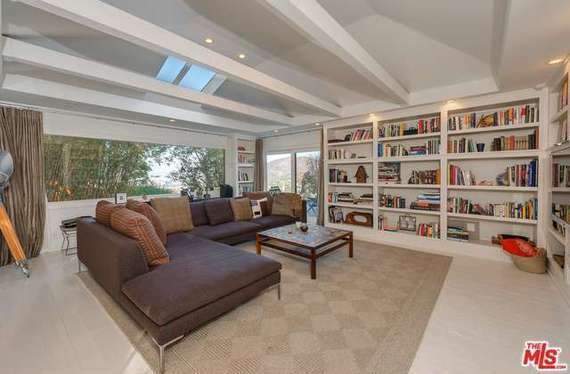 The living area has high-beamed ceilings and a large window letting in plenty of natural light. The property also has a swimming pool and several trails. One feature Gyllenhaal must have had in mind when scooping up the place was location: The manse is ideal for anyone who would need to get to and from studios in the Los Angeles area. The Hollywood hunk purchased the abode back in 2005 for $2.5 million, around the same time of the release of his movie "Jarhead." Gyllenhaal must not see much of a need for the home on the Golden Coast, considering that he has been spending a lot of time in New York with many reports saying that he has been checking out a townhouse in Manhattan. Aside from real estate wheelin' and dealin', the actor is busy with plenty of other projects, including his recent film, "Nightcrawler." For more celebrity real estate news, follow me on Twitter @AlannaFinnNYC.